Ecstatic energy drink. Caffeinated with 51% whey product. High caffeine content (30mg/100mg). Children, pregnant or nursing mothers and caffeine sensitive people are advised not to consume. Pasteurised. 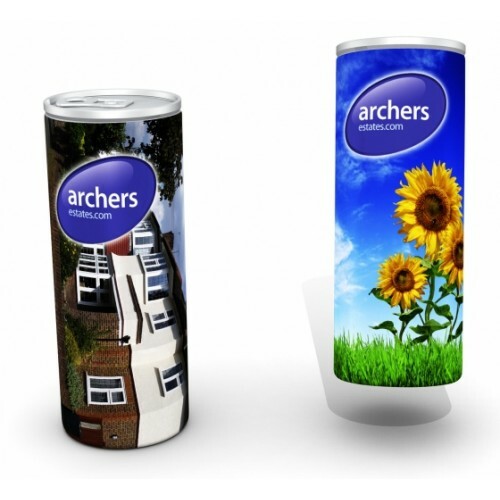 Printed on a silver can in full colour. 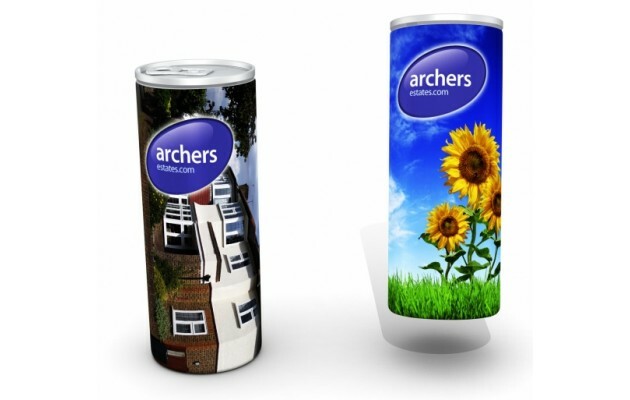 Can be overprinted on the can with a white background instead of silver if preferred. 5cm diameter. 250ml. Click on the price to check out.